As it states on the Lancôme website “Armand Petitjean, perfumer and cosmetician, devoted his life to his dream of giving women the most beautiful things possible. For them, he created Lancôme. He selected the rose, surrounded himself with the best researchers and began an exemplary adventure onto the realm of passion.” What a positively romantic start to what was to become an internationally successful cosmetics company! This company was purchased and is owned by L’Oreal since 1964. The name “Lancôme” was inspired by the ruins of a castle called Le Château de Lancosme. The use of the rose was inspired by the wild roses in the area of the castle, symbolized by the company’s single golden rose. The start of the brand began with five fragrances launched in 1935. Armand Petitjean had a great teacher, he was a student of François Coty, the “father of luxury perfumes.” The bottles were nearly all created by a great artist, Georges Delhomme, now collectors’ items. Immediately successful, the Lancôme skincare line NUTRIX was made in 1936 with its nourishing and regenerative formula nearly the same today. in 1955, the line Océane launched, a line, an ultra-pure enriched with algae seaweed and trace elements. The success of these innovations owes much to the word of mouth from the “techniciennes”, women who graduated from the Lancôme school and took the brand’s message globally. 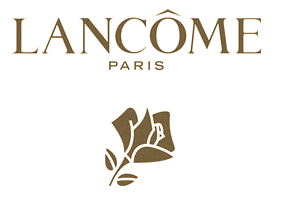 Lancome makeup is created with a sensual love for women. They produce delicious lipsticks, like the ‘Rose de France’, the first pink-red lipstick, made scented with the Bulgarian rose. The powders are scented, the lipstick cases are jeweled and the makeup cases, ornate works of art.